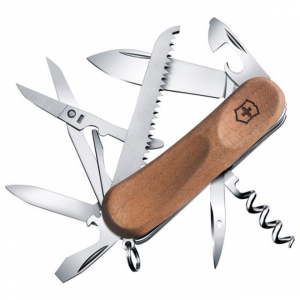 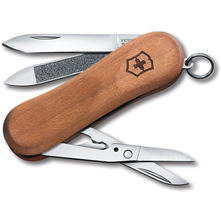 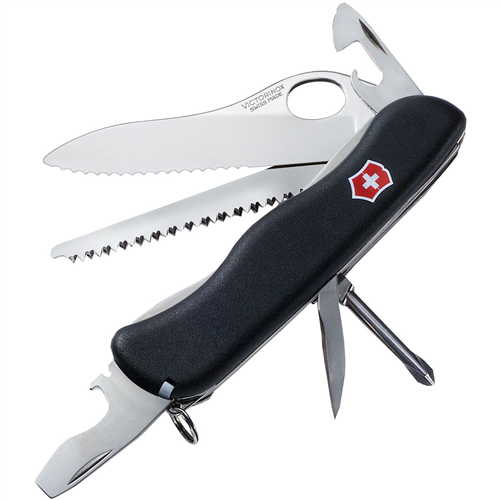 "Victorinox Camp & Hike Evowood 17 - Walnut 2391163US2. 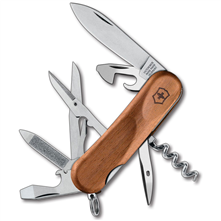 The natural walnut which is durable for light outdoor use is colored in a rich dark stain to create individual shades and grain patterns in each knife making each EvoWood unique. 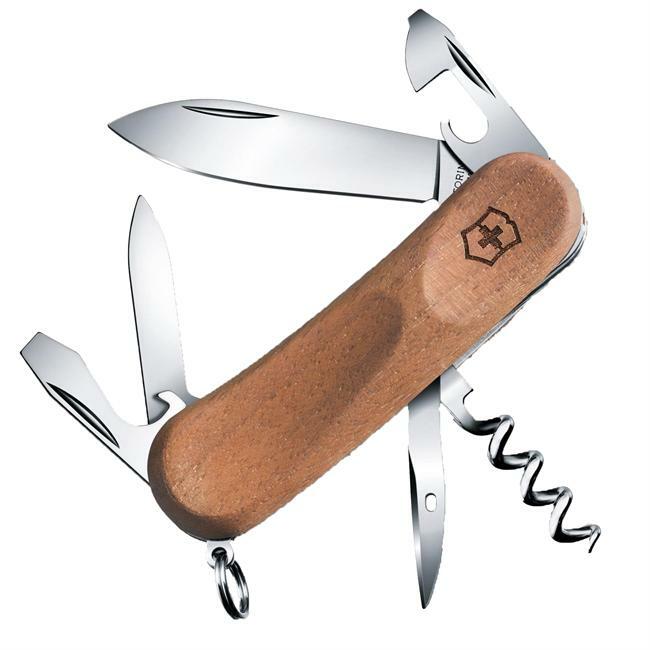 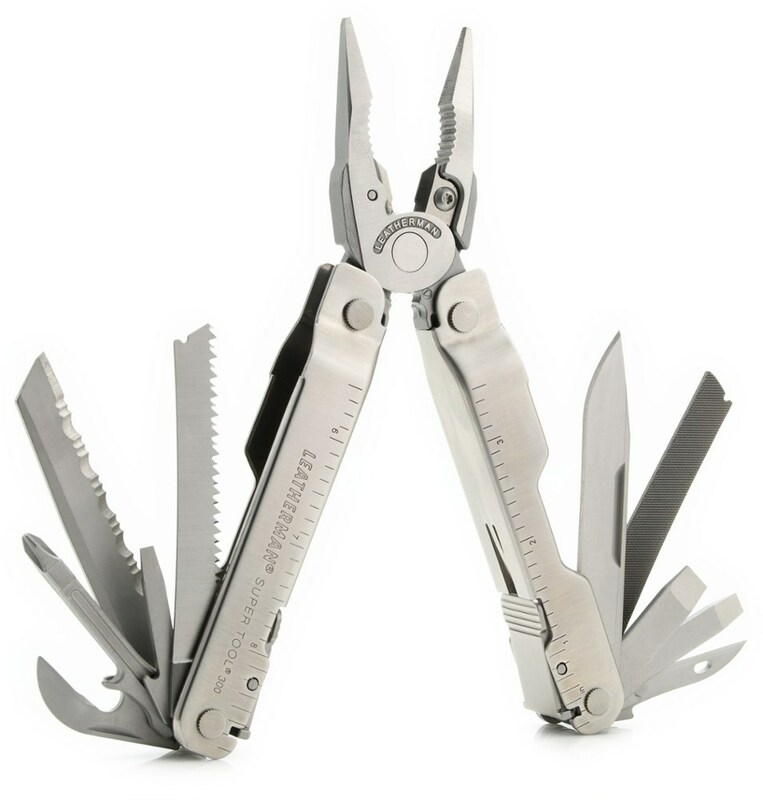 This knife has it all: 2.5 blade nail file with nail cleaner lever design serrated-edge scissors can opener with small screwdriver cap lifter with screwdriver wire stripper 2.75 double-cut wood saw corkscrew reamer/punch a key ring. 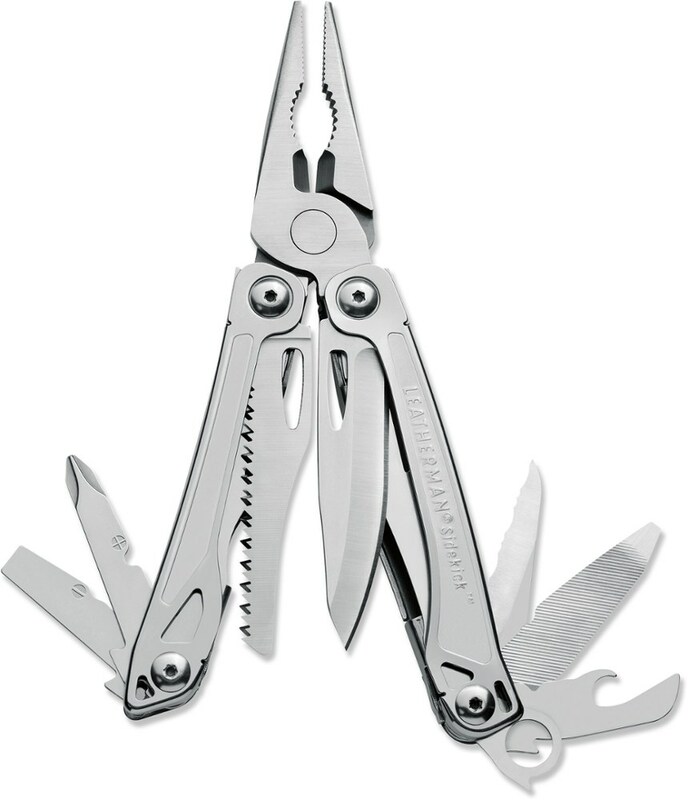 Dimensions: 3 x 1 x 0.75; Wt: 3.07 oz."